Pay attention book bloggers – this one goes out to you! Last week I did a quick search on my WordPress app on Book Reviews, just to see what would pop up. 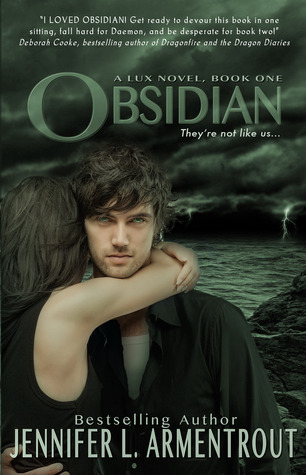 I can’t tell you the blogger who did it, but I ran across a review for Obsidian and knew that I had that book for kindle, so I stopped to read the review. This review wasn’t a 5 star all praise this book in all its ways, it revealed some thing that the reader didn’t care for, but she gushed about Daemon and a few other aspects of the book. As a result, I searched for it in my library (because who KNOWs when I bought it, but it was pretty buried in my list) and started reading it. Note – I don’t usually read reviews…but I might start after this. I just really hate spoilers, I like to be surprised by stuff…and some bloggers have a difficult time with this. I read a review during this same search that basically spoiled an entire book (that I had already read) with her discussing what she liked/disliked about every part of the book. I have moments when I want to do this too..and I’m starting to wonder if we should call these blog posts “Book Discussions” rather than “Book Reviews” to alert the reader?! Anyway. What I Loved: So, alien books aren’t actually my ‘thing,’ I’m not sure why, since in the last few years I’ve read a few good ones, but they just aren’t the first books that I tend to grab first. But I did really enjoy this take on Aliens. I didn’t fully understand what they could do and why – well, I vaguely understood why I guess – but I also just know it’s a book and it doesn’t have to make complete sense to me. The back-story of how they came to exist on earth and what had been established was flushed out to a satisfactory degree for me. All of the fight scenes were enjoyable to read, I didn’t get lost in the movements and what was actually happening, which can happen sometimes when there is a battle going on. I totally loved Daemon and Katy’s back and forth constant battering of each other. It was some really good heat between the two of them. The fact that they were both fighting attraction kind of helped dial up the heat quite a bit. Some of my favorite scenes where the ones where Daemon was displaying jealous. And w-o-w, the kiss scene. Not So Much: Despite that the back story and the fight scenes were well done, I did feel like the overall story had some holes in it. At some points it felt like the entire town was alien, and at other points it felt like a select few were, and the people of the town knew they were alien or at least ‘other.’ At other times it seemed like their secret was completely locked down and humans put off the whole thing as “this town is weird.” I kind of felt like the lines were blurred a bit on the alien powers also, mostly when it came to the trace, or mark that could be left on humans. I kind of felt like they knew the logistics of it, and then at some point it was like – “hey, let’s try this.” In fact – as far as the instance I’m referring too, I kind of felt like it was put there so the scene would happen – and I would NEVER want that scene removed, but the reasoning behind it seemed a bit under-processed. Katy is so dense. I loved her personality for the most part, but how many times does one have to refer to “your kind” or call you “human” before you really get it, and not have to have it spelled out to you? She doesn’t want to believe anything, including that Daemon isn’t quite as uncaring as he seems half the time. Read between the lines! It’s only frustrating because she is only like this to drag this storyline and hot/cold heat between the characters on for as long as possible – she is a strong character otherwise. The hot/cold stuff could probably be done without her playing dumb about it. I’m completely engrossed in this series, and just bought book 2. I want to know what happens, and I do want a little bit more Katy/Daemon heat in my life. My hope is that the story and writing just gets better as we go through the books. The book is okay for older teenagers, there is cussing. Kissing and a little bit of touching that isn’t overly descriptive.